Freshman Rep. Ilhan Omar (D-MN) attacked critics of her dismissive comment about the 9/11 terror attacks as “some people did something,” saying they are inciting death threats against her. 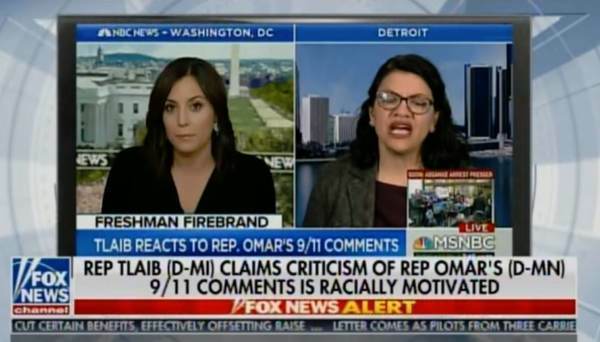 On Thursday freshman Democrat Rep. Rashida Tlaib defended Omar on NBC accusing Omar’s critics of being (racists). Rep. Rashida Tlaib: They do this all the time to us. Especially women of color. They do that. They take our words out of context because they’re afraid. Because we speak truth to power. Just plain racist act by many of those because she does speak truth. Everything is always racist to these offensive America haters.